Two of the personality types that I see getting misrepresented or misunderstood over and over again are the INTP and INFP personality types. These types are frequently underestimated or given one-dimensional descriptions that don’t do them justice. Why are these types so frequently misunderstood? That’s what I hope to explain in this article, and if you have any thoughts about this be sure to mention them in the comments! “Wait!” you might be thinking, “but aren’t they perceivers? They don’t have a J at the end of their type code!”. This is where Myers-Briggs theory gets a little confusing. To avoid confusion, I’m going to give you some brief pointers about personality theory before we begin. Judging processes are what we use when we make decisions. Thinking and feeling are judging processes. Perceiving processes are what we use when we gather information. Sensing and intuition are perceiving processes. The J or P at the end of your type code tells us which function is the first one that you extravert, not which function is your dominant (favorite) function. IP personality types are dominant judging types who extravert a perceiving process (intuition or sensing). IJ personality types are dominant perceiving types who extravert a judging process (thinking or feeling). But what does this have to do with being misunderstood? Because INPs both introvert their decision-making process, many people are confused by their actions and decisions. INPs don’t seek external guidance for their decisions as much as internal guidance and congruency. So outside rules, standards, and expectation are less important to them then their own inner standards. For the INFP, social expectations and social norms mean very little. The important thing is staying true to their authentic, core values which are intensely personal. For the INTP, empirical truths and external rules mean very little. Everything must be questioned based on a highly-detailed set of internal principles and truths. The decision-making process of INPs is often invisible to the eye. While FJs and TJs look for some kind of consensus to form their judgments and decisions, FPs and TPs look inside to a subjective standard. This tends to show up in school – INPs tend to care much less about grades and meeting external milestones than other types. They are more concerned with meeting their own standards than the standards their teachers or their communities have placed on them. This tends to get them misrepresented as “lazy”, and many times their intelligence is underestimated. In contrast to how they are perceived, both types are usually on the intelligent side. According to the MBTI® Manual, INTPs and INFPs are two of three types with the highest IQ scores .They are also statistically the two types with the highest SAT-V scores. Both types enjoy the subject of art in school and are usually creative. Unfortunately, this tends to backfire in very traditional schools where art and creativity are given second place to test scores and memorization. Because INPs don’t usually run their decisions by others for outside approval they can be unfairly seen as inconsiderate. Because they don’t tend to analyze their decisions based on external expectations their choices tend to come as a surprise to many people. While an ESTJ would verbalize their thinking and decisions and might seek outside input, an INP might suddenly blurt out that they’ve made a big decision right as they are about to do it. This “surprise attack” is usually unintentional. They just don’t naturally “talk out” their decisions like J types are more apt to do. They don’t feel a compulsion to get other people’s input on what they are going to do because they judge their decisions by a subjective standard. What INPs do vocalize are their ideas and the random connections they see in the world around them. They ask why, play devil’s advocate, and look for core motives (INFPs) or accuracy (INTP). Potential is always something they seek. 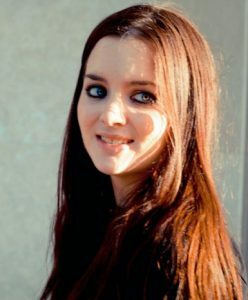 They’re curious and they enjoy discussing theoretical, abstract topics like philosophy, psychology, art, math, or any number of conceptual or creative ideas. They like looking at things from unusual angles and enjoy thinking outside-the-box. This can sometimes get them in trouble or inadvertently cause them to offend others. “Why are you questioning our traditions?”, “Why can’t you just go along with what’s normal?”, “Why do you ask so many questions?“. These kinds of statements are often the bane of the INPs existence. They are often seen as impulsive even when their decisions have been the fruit of long and arduous thought. They are often accused of being “stuck in their heads” because they spend a lot of time ruminating over their decisions. 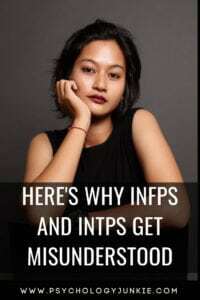 INFPs and INTPs are extremely independent individuals and they hate the idea of being confined to external standards and routines. They don’t want to have dominance over other people and they don’t want anyone else to have dominance over them. They are selective about who they share their inner worlds with and because their feelings and judgments are so private, they can struggle to express them to the outside world. It’s very common for INPs to express themselves elegantly in writing or in their own minds, and them stumble over their words while speaking. Of course there are always exceptions. Anyone can be a good communicator, but for INPs this is often a learned skill. This doesn’t mean that INPs enjoy it when people misunderstand them or underestimate them. They often crave some sense of solidarity with others, but because they are both so individual and private, they can struggle to find the understanding they may very deeply crave. Have you been misunderstood as an INP? Have you had a positive experience being understood? Let us know your thoughts in the comments! Intp. At times, usually when excited or under duress, communication can be difficult. My mind generates far too many scenarios based off possible responses or statements. Inevitably information isn’t conveyed properly, as I assume the listener is already aware or can logically draw the same conclusion. Alternatively, I might fail to understand or just don’t care about the emotional ramifications. Other times I may randomly bounce ideas off others in absolute contrast to the conversation usually because I’m not listening and am thinking about multiple other ideas/topics. Quite honestly, I get very little enjoyment from interaction. INFP here (55% F). I personally have had to train myself to stop caring so much about what other people think of me as a human being. As for their ideas and general input? Well, whilst I have only recently realised my own intelligence, having struggled in school to a degree, I have always trusted my own judgement. Your article is very interesting and well written, thank you for you research! My partner is an INTP and we have both tested the same on the IQ spectrum, (top 2%) though not sure how one can tell just by identifying patterns…. As Robert mentioned, verbalising our internal processes rarely goes smoothly, but I work with a slight difference. I can mentally create scenarios and live them (to the fullest extent possible in one’s mind) to empathise with another’s issue, whilst also analysing the topic from every other possible scenario to then come to a conclusion on why the issue occurred in the first place. Body language is also more effective than speech for me to judge someone’s emotion. Much like INTPs, we are often mistaken as procrastinators, but learning or researching a topic definitely takes precedence. One can accidently go hours being immersed in a subject, such as how myself and my partner can easily spend 5 hours discussing a tooic that interests us…. I feel you. I am actually right now still on the process of training myself how to not care about other’s opinion about me. I am currently struggling with 2 of my coworkers who think of me as very different in a bad way. Hope I learn soon to not give too much thought about it.